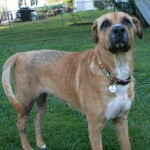 Cara is a golden retriever mix, long-legged with soft, silky fur. 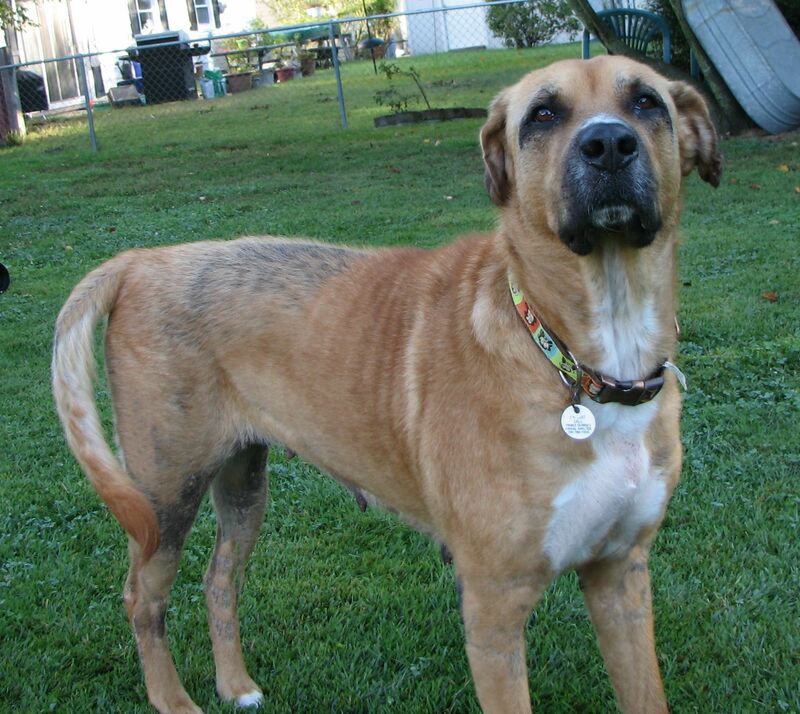 About 3 years old, and now at a healthy 83 lbs., she was found with one of the worst cases of flea infestation ever seen, but has been carefully treated and is now healing from the destruction it caused her coat and ears. 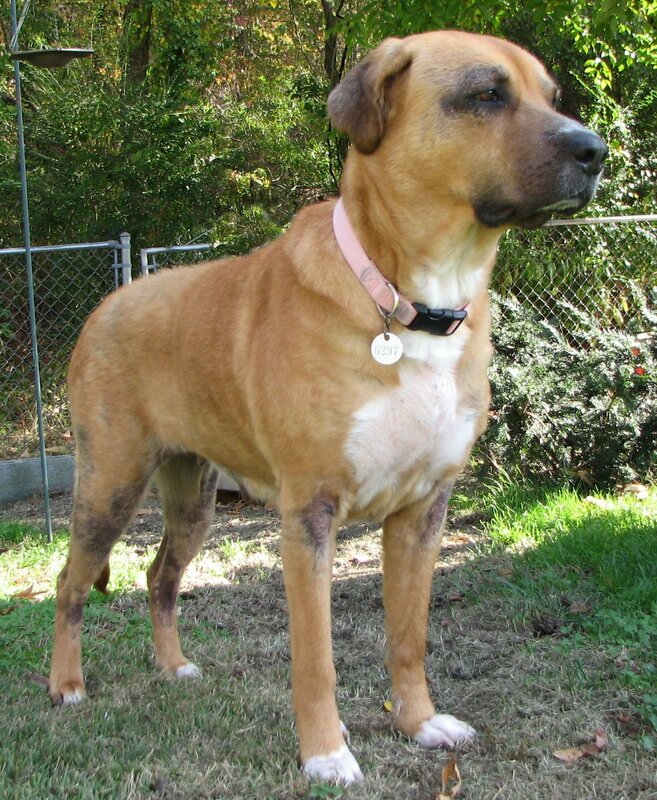 Cara was never placed into the shelter, but rather fostered by one of the Bowie Animal Control Officers, and now is being fostered by a volunteer. She is a typical golden retriever: gentle, oh-so-loving, and calm. She is already well-trained and knows “come”, “sit”, “stay”, and “shake”. She adores long walks and playing fetch with a tennis ball. Cara does not need to be crated when left alone–she just curls up and naps; never chews inappropriately, but does enjoy her bones. 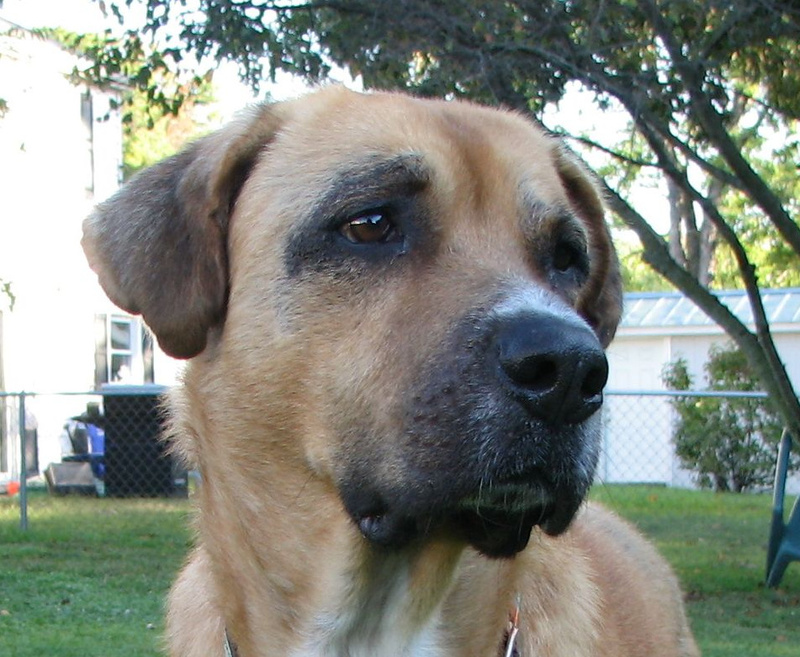 It would be hard to find a more complacent, gentle soul in a big dog whose only goal in life is to share the love. 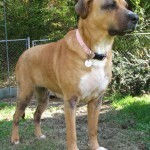 She would be a super dog for a family with children over 10 years old to love her, as well as a calm, obedient companion for anyone else–mature couple, grandparents, etc. Warning: Cara does “counter-surf”, so put all food out of her reach! The good part is that she is highly treat motivated. Cara is currently on thyroid medication twice daily for hypothyroidism. Good with cats: I’m good with cats. 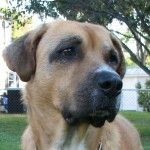 If you are interested in Cara — ON HOLD, consider letting us know by filling out a (no-obligation) adoption application. Please consult our Adoption FAQ before contacting us. Cara IS expecting to attend the next adoption show, December 27th at the Bowie PetSmart, though there's always a chance that plans may need to change at the last minute.